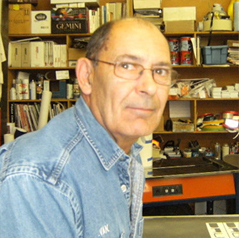 Fred has been in the sign business since the early 70’s that is 280 dog years. 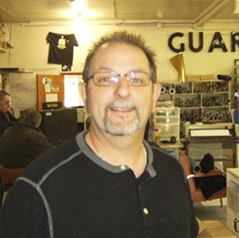 He is grateful for the people who work and have worked to make Image Crafters a going concern. Fred has also been repairing computers since 1984. 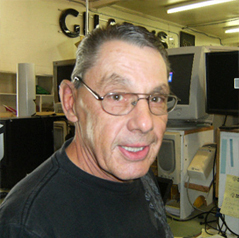 With a certificate in Micro Computers and Micro processors, Fred has made computers a part of Image Crafters since the introduction of Micro Computers in the 80’s. 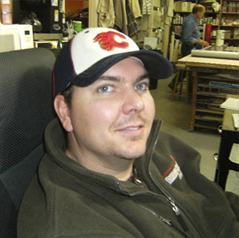 Simon has brought a great skill set to Image Crafters making us a sign shop that makes us a destination business not only for the Drumheller area but for customers all over Western Canada. Simon’s design skills are amazing and always pushing the envelope of new and exciting concepts such as vehicle wraps and full color billboards. 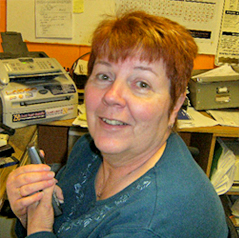 Gary can answer any questions about billing and is very skilled with computer repairs! Shop foreman, and by goodness your work could not be in better hands. Kevan makes sure that Fred and Simon spell things right and makes sure that everyone gets only the best quality products on time. Kevan has retired after 10 years. He came to the shop to help for a couple of hours and stayed a decade. We will miss him around the shop.